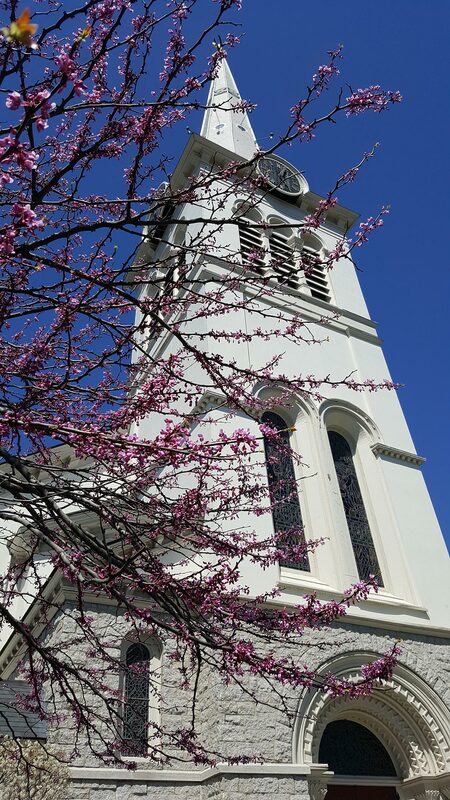 In honor of the restoration of First Congregational Church’s beloved Fisk organ, Opus 50, the church offers a delightful and jubilant concert of organ and keyboard music – performed by First Congregational Church’s masterful organist, Jeffrey Mead, along with some of Winchester’s most accomplished guest organists and keyboardists: John Kramer from Winchester Unitarian Society; Jane Bergeron O’Keefe from St. Mary’s Parish; Timothy Hughes from St. Eulalia’s Parish; and Harry Kelton, former First Congregational Church organist. There let the pealing organ blow, to the full voiced quire below! Co-sponsored by the Health & Wellness Ministry and Music & Worship Arts Ministry, the concert features diverse treasures for organ: Dieterich Buxtehude’s stunning “Prelude & Fugue in d minor” [17th c.]; Francis Jackson’s charming “Georgian Suite” [contemporary, in 18th c. style]; Charles Ives’ cheeky and adventurous “Variations on ‘America’” [late 19th c.]; John Kramer’s own “Sine Nomine” and “Nun danket alle Gott” [21st c.]. Affectionately known to organ builder C.B. 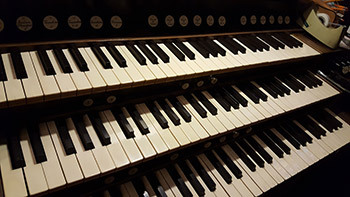 Fisk as “Winchester Old” (as distinguished from “Winchester New,” Opus 65, of Winchester’s Parish of the Epiphany), First Congregational Church’s Opus 50 is a three-manual and pedal organ of twenty-seven stops and thirty-nine ranks. “Winchester Old” was first used in a worship service on Sunday, May 11, 1969. 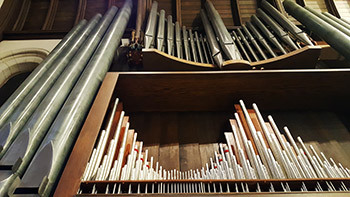 The organ has been played by a fine roster of resident and guest artists, including John Skelton, Lois Regestein, William Porter, Yuko Hayashi and current resident star, Jeffrey Mead. The concert, free and open to the public, will be followed by a warm and generous reception, hosted by both program ministries. For more information, please contact Jane Ring Frank, Minister of Music and Worship Arts.